H&M jacket, sweater, jeans, hat. Kathryn Amberleigh boots. I've always been a die-hard OC, Cali life, and sunshine girl who couldn't be more of a proponent for an endless summer. But of course one loves what one is comfortable with. Although I grew up half my life in North Carolina, I've completely forgotten what it's like to bundle up and how to layer stylishly. After traversing the temperate climate and scenic landscape of New England, I've fallen back in love with cooler days and sleek coats. To appease my Fall lust, I went shopping at H&M and found this entire outfit (minus the shoes) from their newest Fall collection for just around $100! 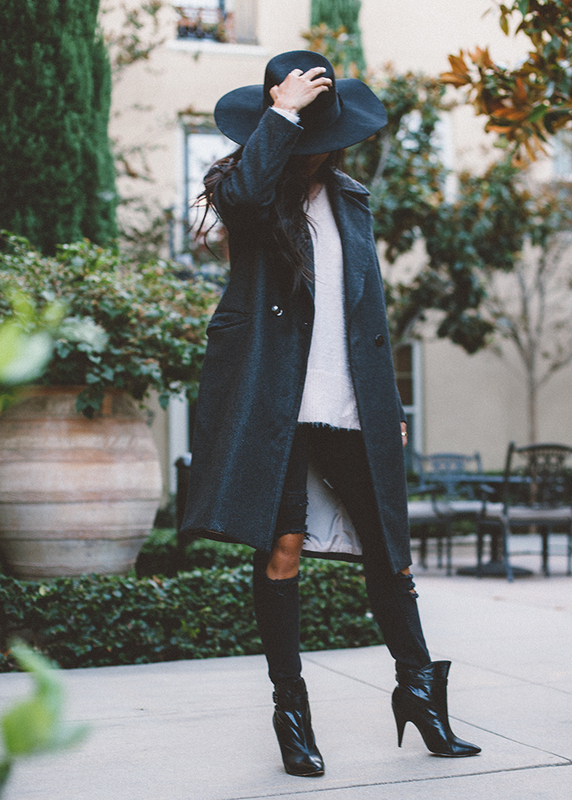 The wool-blend coat is perfectly structured for a chic outer layer and is at a jaw-dropping, affordable price of $29.95. 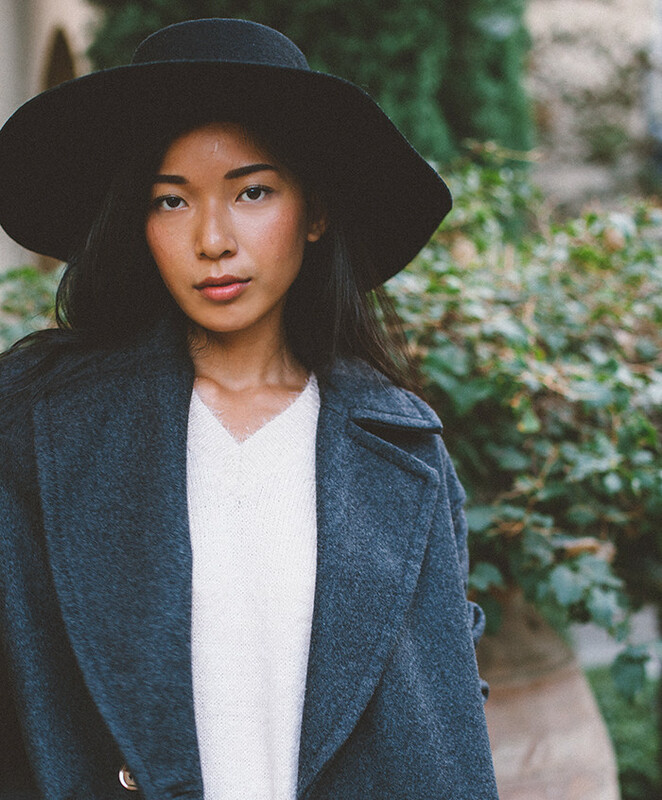 My most favorite find is this wide-brimmed, Saint Laurent-esque hat made of quality wool. 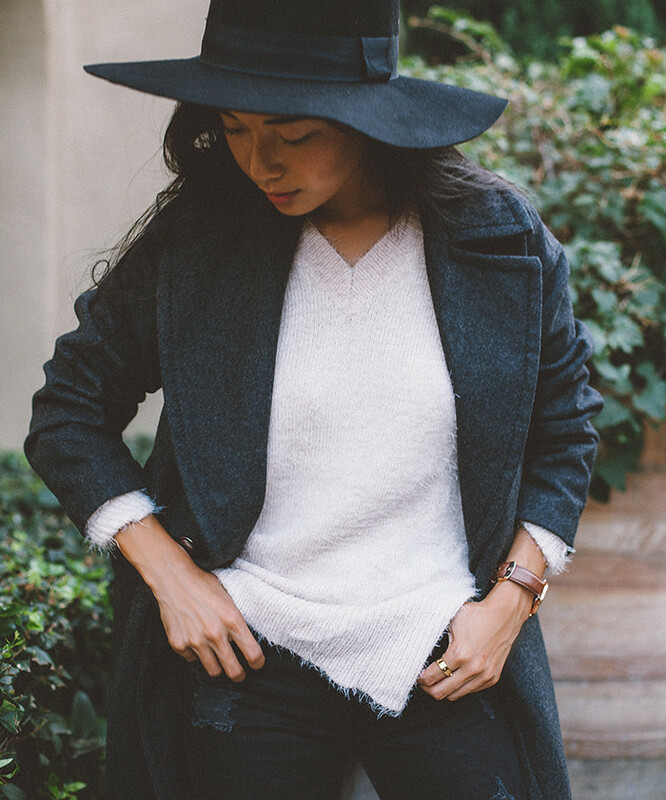 It's the perfect topper to every Fall outfit. To celebrate Fall fashion, H&M and I are giving away a $50 GIFT CARD to the FIRST reader who posts my look on Instagram and tags @honeynsilk and @hmusa and #hmfallfashion in the caption. Profile must be public. Winner announced on 9/25. Good luck and thanks for participating! Thanks!! Love the great things you can find at H&M. the hat is so cool! Great look! And you are very beautiful girl!